Hi everyone! Today is my turn over at Twine It Up! with Trendy Twine. 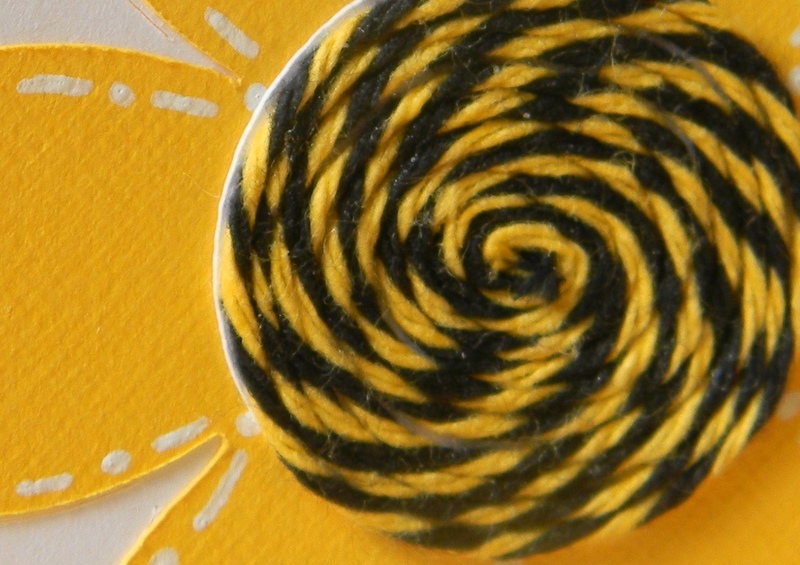 And I am having the best time playing with the new Bumblebee Trendy Twine. Here is a sneak peek of my project today--Please head over to the Trendy Twine Blog for the whole picture! While you are there, check out the challenge this month. We would love to have you join in! Awesome project Helen, love the flower center! Your treat boxes are so fun! LOVE your beautiful boxes, Helen. The color and paper is so bright and happy; and the twine center looks amazing. loved your boxes, Helen!!! great use of the twine! Saw your project on the TT Blog looks Awesome. Love what you did with the Twine. LOVE LOVE LOVE the sneak!!! Twine looks fab and your project on the TT blog is awesome!!! GREAT job Helen! Thanks for sharing!!! Awesome project Helen, looks great! !